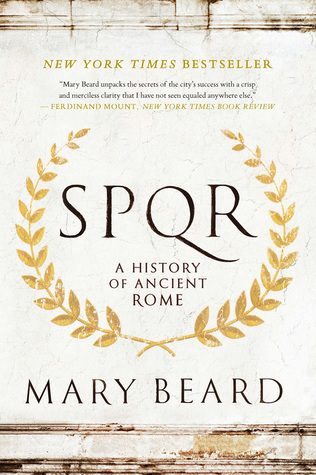 In SPQR, an instant classic, Mary Beard narrates the history of Rome “with passion and without technical jargon” and demonstrates how “a slightly shabby Iron Age village” rose to become the “undisputed hegemon of the Mediterranean” (Wall Street Journal). Hailed by critics as animating “the grand sweep and the intimate details that bring the distant past vividly to life” (Economist) in a way that makes “your hair stand on end” (Christian Science Monitor) and spanning nearly a thousand years of history, this “highly informative, highly readable” (Dallas Morning News) work examines not just how we think of ancient Rome but challenges the comfortable historical perspectives that have existed for centuries. With its nuanced attention to class, democratic struggles, and the lives of entire groups of people omitted from the historical narrative for centuries, SPQR will to shape our view of Roman history for decades to come. Rome was a place, and it was very interesting. All cards on the table, I only read the first three hundred pages of this book before I decided to return it to the library. I enjoyed reading this book, but not enough to read the last two fifty pages. Don’t get me wrong, this was a good book, but as I am not presently researching Rome I didn’t have the endurance for this. The author takes an editorial approach to describing Rome’s history. Not focusing on the archaeological evidence as much as the literary and historical records left behind from ancient Rome. I liked her approach, for she simplified the sparse archaeological evidence and the conflicting historical records, and was thereby able to tell a cohesive story of Roman history.